Chemical peels are an important part of skin health. 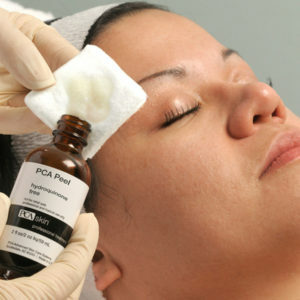 As an effective treatment option for most skin types and concerns, they improve tone, texture, fine lines and wrinkles, breakouts and dark spots.Supporting the cell turnover process with chemical peels is what allows the skin to shed dead cells and bring new, fresh skin to the surface, free of signs of aging, sun damage, dirt and debris. The result is glowing skin.